There are many reasons why it is a good idea to look for the best storage space for rent in Oxford. By renting self-storage, we can solve our space problems at home, for example keeping tidy and safe belongings that we’re not currently using or taking our packaged items to a warehouse storage while transporting our stuff if we are moving into a new house. 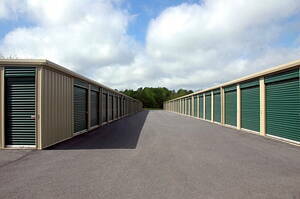 There are many storage facilities in Oxford that perfectly satisfy our needs. In addition, if you are seeking storage for your business, you can choose humidity and climate controlled storage so your good don’t go to waste and conserve all its quality. The cost of storage will vary depending on the size of the space needed and how long we’re renting the facilities. Indoor storage at home can be also quite a mess. Luckily there are plenty of experienced companies keen to offer you creative storage solutions thanks to their wide range of products like drawer organizers, stacking storage, baskets, modular storage systems or even labels to ease your packing process. For example, among different clothes storage ideas, buying lingerie drawer organizers is very helpful to not lose your socks. These companies also offer products for the office so you can easily sort out stationery and documents. Do not hesitate to get safe storage solutions from the best companies in Oxford. At Infoisinfo we always work hard to be able to show you where to purchase or hire the best products and services in Oxford for you and your company. We know how difficult can be to sort out all our belongings, mainly when we have too many and not that much space. For this reason, we want to help you out by offering a list of the best storage companies in Oxford. Maybe you are looking for temporary storage while moving your furniture to your new house, or you need long term storage facilities for your business and pay a monthly storage unit price. Perhaps, you are just seeking some storage cubes to tidy your kid’s toys. Either way, you will find the perfect solution among our directory. Contact details such as phone numbers, websites, address and opening times are provided, as well as comments and valuations from other clients.